Today’s post was a long time in the making, and I’m so excited to finally be able to share this great project! 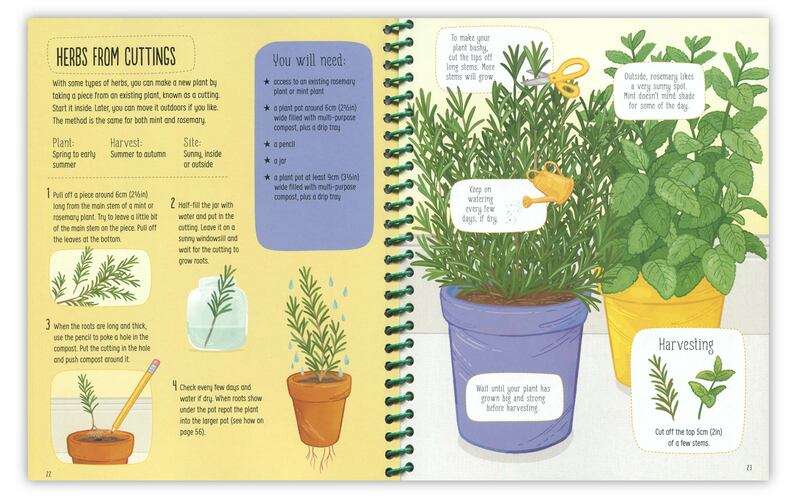 It’s the Usborne Book of Growing Food, written by Abigail Wheatley, which I illustrated for Usborne Books here in the UK. This is the project that kept me busy up to my eyeballs in the months before Emmett was born, and I just finished the illustrations a few days before he arrived! 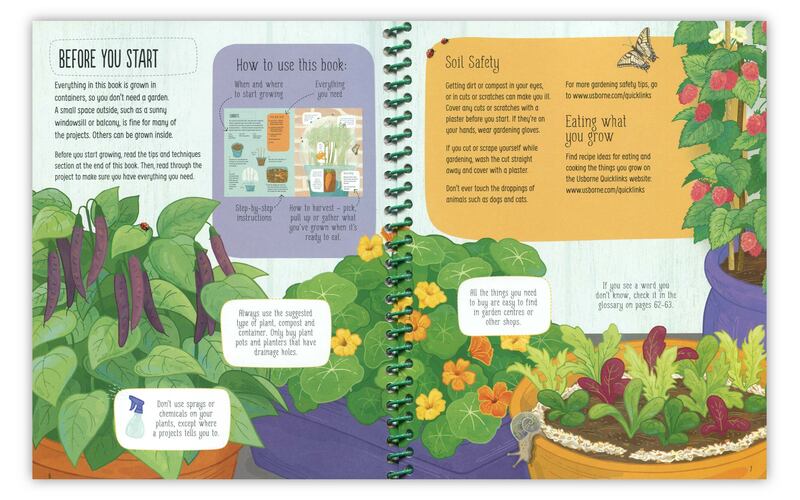 It hit retailers a month or so ago, and I thought now would be the perfect time to write about it, what with gardening weather finally being upon us. 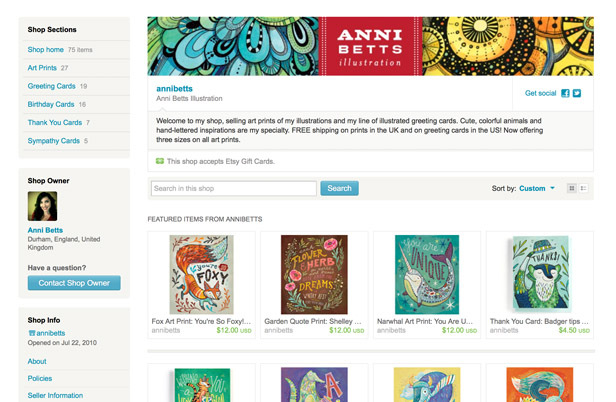 An intro spread, showing some of the projects from the book. Two of my favorite herbs, rosemary and mint. 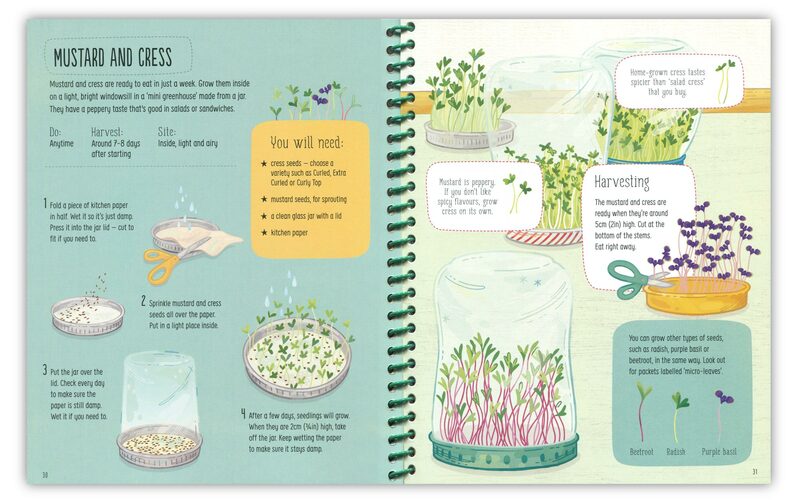 The tiniest of container growing, mustard and cress sprouts grown in jars. 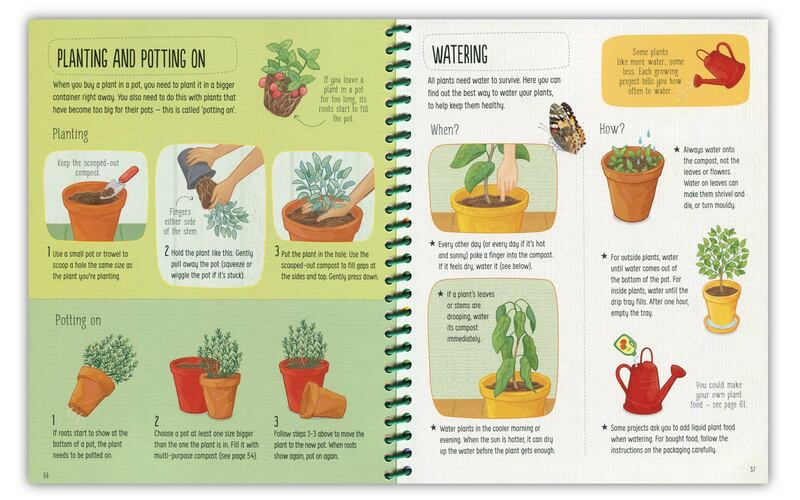 Here’s a techniques spread, showing you how to plant and water properly. I always want to buy these adorable little squash at farmer’s markets, I should try growing them myself! As always, my clients at Usborne were a dream to work with, so a big thank you to Hannah Ahmed, Vickie Robinson and Helen Edmonds. If you’d like to buy the book, you can get it from Amazon in the UK here , or in the US you can get it from third-party sellers on Amazon here. 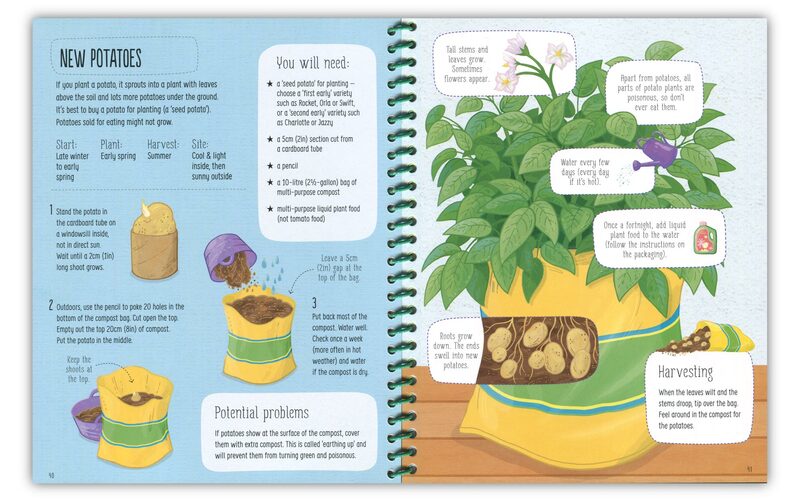 I didn’t know you could grow potatoes in a bag of soil! 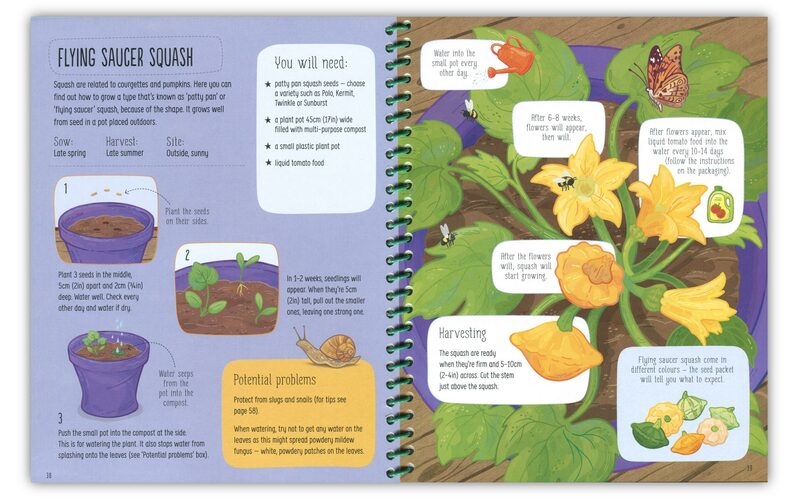 I hope this inspires you to go out and grow some delicious squash, potatoes, herbs and all sorts of other good things this summer, and thanks for reading!